Second reason; As it is, and remains, one of my own, and my friends !! favorites. As the smooth entrance, and silky exit of this smoke, combined with the pure relaxation, this flower affords. In cahoots with its even spread of CBN CBD........ being a sativa, it is a great all-rounder, when allowed to ripen sufficiently. The gene line hails from, as allways with the best captured, refined sativa strain, sub equatorial. It hales from a tropical zone, "South Africa", it has allways been the one in the grow room i dont have to keep and eye on !!......... a trusted item, that delivers, comparatively. 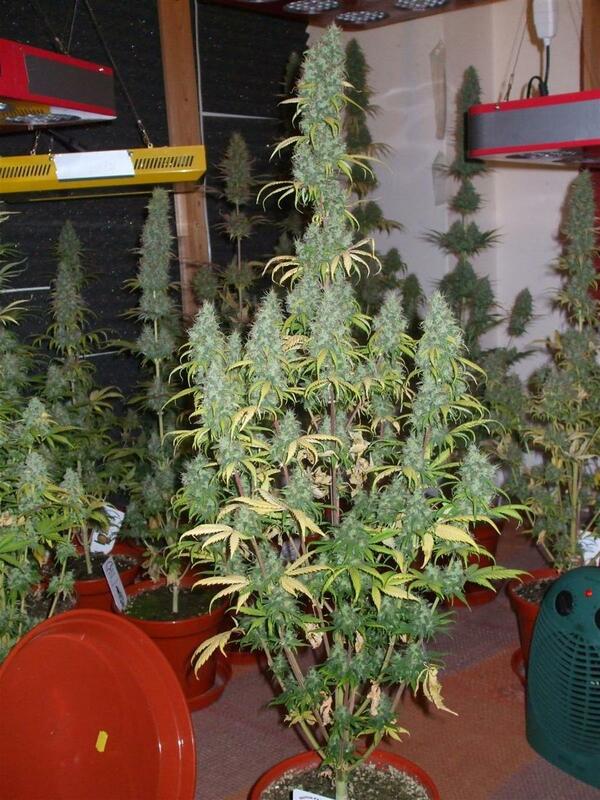 greater weights than alot of the tall leggy high stretch sativas, still holding a lot of landrace genes. That was cleverly selected out by Henk van dalen, between 1971 and upto its launch as 98% females strain. In 1987. And you still dont have to go far, round many coffee shops in the centrum, to find it to this day, remains centrum wide favorite. The third reason, for the blog, is the retirement of Henk van Dalen, "Mr Canna".......... after 45yrs of input into the scene, the master of canna genetics retires from Dutch passion......... and will be sadly missed. His three main, original mission statements, for Dutch passion are set out below; it one bag per seedling for the monster fem, he named Power Plant !! and for obvious reasons !! take a look at this man boat race !! An increase in greener, more eco-friendly attitudes. In the 80’s grass was always grown outdoors and this produced absolutely top quality pot. However police confiscation and thieves forced many growers permanently indoors, this requires energy to run artificial grow lights, often produced from nuclear or coal power. Energy companies in collaboration with the police can sometimes trace those with heavy electricity bills and evict them from their homes. Henk would like to see a shift towards green energy such as solar power and the use of new technologies such as LED grow lights. Perhaps in sunny climates, solar powered LED can supplement sunlight. AutoFem seeds with their fast growth cycle and rapid bud production will be increasingly important. To continue to supply the self sufficient recreational grower with the best cannabis seeds possible. This will mean continued progress in strain developments to deliver varieties rich in THC and the other key cannabinoids. Perhaps improvements in green technologies such as LED light can help here. To develop the best and most effective medical strains possible. 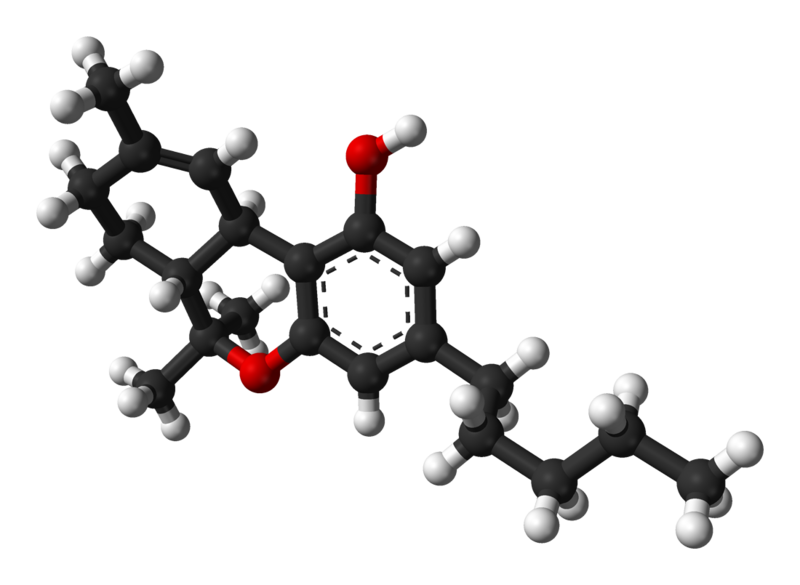 Here everyone still has much to learn about the role and influence of cannabinoids such as CBD (and others). But Dutch Passion are treating this area with the utmost importance. With his future strategy and mission clear to himself and his team, Henk makes one final comment. “We will develop the kind of great new strains that our customers like. We have pioneered feminized seeds and become leaders in AutoFems. Today we are working harder than ever to keep innovating and improving. It’s what our customers like us to do”. I was proud to be chosen, for the 20th anniversary pics set out of four finalists !!!!!! I was told i won it, because, "The Flowers Are Allowed To Ripen Fully" !! It was a previous Power Plant Monster i grew. The first and second pics below are; Power Planr fems at day 48, overall, 8of those in flower so 12/12 at 5,5wks veg. Ive selected a very nice pheno of "Desfran" also to go with the PP's.... which has also been multi topped to keep this leggy south america sativa power house in control !!......... if in doubt, i just chop the middle out, and back she comes twice the size !!.... and likes it at 28c-31c best !! Finally; the OUTLAW,....... what a croud please'er........... them citrus sweet flavors, superb through the vape, again this dame like the sunshine, and is multi topped right out,......... she still powers on !!!............. amnesia original DP genetics.......... remains in me top 5 from DP. All the best to Henk in retirement then........... he will be very, very, sorley missed in the canna community, and while he was still practising, did not see the full legalization in Europe, or the Netherlands. A previous power plant cloncker !! rear left behind the Freddy's Best, front row !! Hey BB,........ nice to have you along.......... and thanks for comments, appreciated...... i was selcted by henk, after he watched my work for over two years. Since 1987, he has on ever chosen 7 freelance DP culturists. To Show Grow his new strains. I was white balled for the honor, from my piers in the online community...... the like of seymour-buds, insert name here, tang and others of the 7 DP show growers, Henk selected personally....... one of whom hold the fem world record harvest from one plant. it still is, a great honor to be one of the magnificent seven canna warriors.......... with the gillette bean gene set on our bean bank !! So here is Henks, closing words;.......... and future DP strategy, which has not changed since DP's first inception.... YEY !! With his future strategy and mission clear to himself and his team, Henk van dalen, makes one final comment, before retiring. “We will develop the kind of great new strains that our customers like. We have pioneered feminized seeds and become leaders in AutoFems. Today we are working harder than ever to keep innovating and improving. It’s what our customers like us to do”. @AutoMaster hello mate. I have a question for you. Power plant, bred from south African sativa. Can you find out the genetics used in the breeding. I would be interested to find out. nice opening to your diary mate. Really fancy giving the power plant a go. @botanics is a big fan of it i believe. DP were always a firm favourite of mine from my past outdoor adventures , and i keep meaning to get them back in my tents. Also suprised the DP auto's dont get a better following. People like teehee and pablo have been growing DP auto monsters for years now. Sidi hidi, hiya my friend........... the tropics, in general, means "Sub-Equatorial"...... from below (South of) the equatorial line. In this case South Africa. 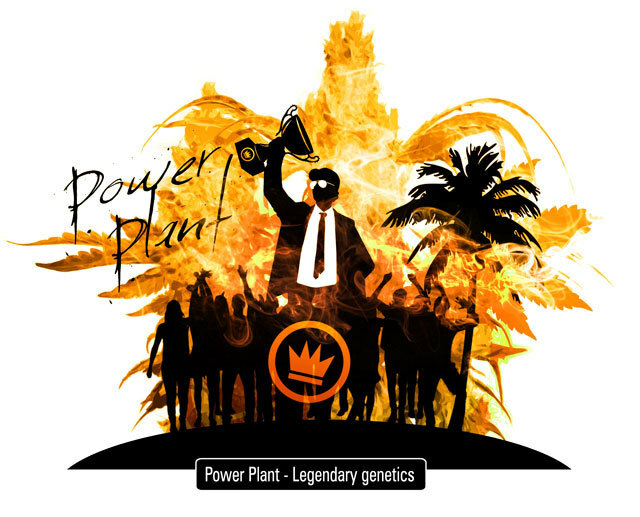 As it is this year, the "20th Aniversery" of the Power Plant, 1st being introduced to Europe, by Henk. I can tell you if you know of the way Dutch passion came about. That the "original" PP, was one of the strains, obtained, that one of the 4 strains Henk, started his early (1978), back-cross experiments with. being 100% pure gene line, never hybridized. Henk discovered the method of getting an outcome which was 98% female, from pure bred strain. You mention above; "Power plant, bred from south African sativa" it isant bred, ie hybrid, it is pure line strain F14+. This is what makes it so reliable, and uniform in pheno and genotypic outcome post germ. To answer your main question, and with a little sadness, as it is the 20th anniversary of PP........ i asked the question, for my blog, and the anniversary, would Henk. Do a little piece for the tribute. But there isant a great deal to say, other than, the pure strain was found on a hunting trip, by Henk. Who tapped out a good hundred beans, and returned with the pure strain beans. it's not a hybrid, found on it's own in the wild, no other pollinators for hundreds of miles. It pollinated it's self, for an unknown amount of generations, before the F14+ in captivity !! Like finding a little gold nugget, not a lot to say other than, you have it ! Due to the closed nature of the gene-line, Henk (Dutch) Hank (English), made the decision "Not To Hybridize" the strain. That was a good decision. Only one other of the 4 pathfinder strains from DP was kept this way. The purity, = ultimate stability of the line. meant that it could be relied on from a genetic outcome point of view during experiments with "Gibberelic Acid"........ and plant stressing. Which led to the 98% all fem outcome. So several females where stressed, with photo, and thermal dynamics. Out of a hundred pure plants, only one "female" threw a "Staminate"............. or male organ. This "Very Weak" pollen, barely capable of "Fertilization" was used to "Back Line Cross" the strain. Only a handfull of female plants, managed to take up the "All Female Pollen" In other words a "fem" is a double female !! Those few that did fertilize, went on to produce the seeds. These seeds are double fem line back crossed pure sativa F100+ if you include the wild generation yes. The back cross line breeding process took Henk 10yrs or more to perfect. The 98% female result, meant it could not be termed "100%" female. So Henk devised the word "Feminized"............ at that time the only man, the first man, to achieve it. he then run a 5 generation test, to see if it "Might" revert back down the gen line, and throw some males. it didant !! His peers in the Dutch "Regular bean" community, still having to put 100 beans down, to get 42%, 42no females, when he told them what he had discovered. At a meeting, with his peers, in nl, in "84" skepticism was rife........ as the man Henk, has a liberal heart the size of pluto. he gave his 5 peers 20 of the new "feminized" seeds. And said hatch them, and if you find a female, i will eat my hat !! he never had to eat that hat !!......... as all 50 beans he gave to his peers where "Feminized". he remains the first to discover this method. That make him for, "Mr Canna"......... the 1st, higher terrestrial plant, culturist, genealogist, who solved the conundrum of "Photo Period" regular seed, males. For me, a sativa fan, it remains a favorite, for many reasons. it's ease of culture, bounty of yield, nevers grows to tall for indoor headrooms. flavorsome, the longer the 62% RH cure, the better the flavor and Voc's (Terps) become, potency is superb (You Dont Need Much !)......... it's an allrounder....... with a class heritage, as Chris packham is to any naturalist/biologist. Here is the link to the 20th Power Plant anniversary blog; (The images Dutch Passion Used, For The 20th Anniversary Blog. Are Power Plant Females, i Have Show Grown, For Dutch Passion)........ was and remains, an honor to be, the chosen culturists, for the 20yr anniversary blog. well that certainly is a feather in the cap and I have always been a fan of yours and @botanics grow logs as they are detailed, informative and downright green eyed monster makers. Week 6 today from 12/12....... the power plant pheno/geno's are very pure. And show thier purity by the way they handle the nitrogen. As you can see, from the shot below, the pure green conversion, even at wk6 of fruitification. This is also due to the Dutch matched soil and tri nute combi. The medium is white peat gold label "Special Mix". Matched to the gold label A+B, Plus the gold label Pk,Ca boost, started at wk4 of flowering. The beauty of the nute pack is. it is of high concentration, so you dont use as much to get upto a decent Ec level. These are now on an Ec of 1.0, a bit higher than usual. But i am growing the ever hungry DesFran. The Ec is at the limit for the pure Power Plant. And shows it in the deeper green. sativas unlike indica. Like to have the nitrogen at good levels during flower. As they, the sativa bunch, tend to give heavier yields nowadays. Compared to the indicas. Total feed Ec = 1.0 to 1.1, Ph'ed to 6.6 (Flower) Ph down with PO4 Phos......... Ec included. The mental of all mental sativas, "DesFran"........ just had to do it again, as will have a bit of time on my hands this summer. I just need to find a nice field, where i can only here the birds song......... lay down in the grass, spark a DesFran, and just watch the summer clouds roll bye............ better to lay down from the start, as you will end up there after the bliss part of the duby is done !! for me thats a 100mm pure blunt........... hence the horizontal stance from the start !!! I always find a place in my grow room once or twice a year for the Power Plant and she has always been a top yielder for me. Cheers mate.......... the spread of the Power Plant flowers, Vortee my man.............. is due to the exquisite art of timing the topping out of the stems during the veg period. 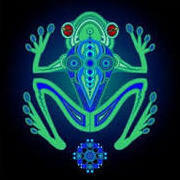 Tricky, as if you start it, before the 3 internode shows, day 12-15?.......... you risk stressing the development to early........... which can interfere with gender, at 12/12, in a rare few cases. Between the 15th to20th day, not earlier, and forward to when the bows first begin to "Stagger" or alternate, rather than when the nodes are opposite each other, around 5wks 35 days on 18/6 ( A near natural light pattern (Best). Is when to start topping out the plants colas stem and bows, pinch out the new shoot leaving the two twin side shoots to grow out. Thats a two week period, to get in and just pinch out the main colas asap, work on the strong shooter bows, pinching those out, and so on from day 20 veg to day 35 veg, or when nodes begin to stagger. Difficult to pinch out when the internodes begin to stagger, as this dose not allow twin shoots to develop due to staggering of nodes, which is the beggining of the rise of the sexing hormone ethylene. This method, "Topping Out", during the middle veg window. Allows better distributes the somatic growth energy, otherwise poured into a main colas, donkey chonker !!. The benefit is multi fold, no risk of chonker bud rot, more and larger satellite buds are formed, and are larger than usual. Lower spread of the plant pheno type, the bushing effect, allows more light in to the wider canopy. The yield is increase by 20-25%. Stronger bows are formed, and the plants appetite increases, allways a good sign !! Air cuirculation inside the canopy improves getting co2 out better in and out !! I did say i would get in earlier, and take a few better pics of the Power Plant (Multi Topped), and the Dezy..... (DesFran) also multi topped out............ DAY 86 OVERALL, 46 IN FLOWER................ EC 1.10 Ph 6.6-6.8........ nute only Ec 0.88. At that nute ec, the power plant shows it is at the max of Nitrogen being taken up...... due to the topping out of the power plant. It is in arears of about 10 days, on the rest. The remainder the DF & Outlaw are hybrids. Therefore benefit from the extra vigor and growth potential hybridization brings. In other words the pure bred is delayed, rightly, by the topping out and re distribution of energy, which delays growth marginally........ the delay delivers 20% greater volume of flowers though....... PP >>> nxt update 10-15th march, if we aint frozen in bye then !!............. here comes the arctic blast, north america had 2-3 yrs back......... its minus 50 in siberia, with no wind chill added this year ???????? mental, trouble is blowing in ! !